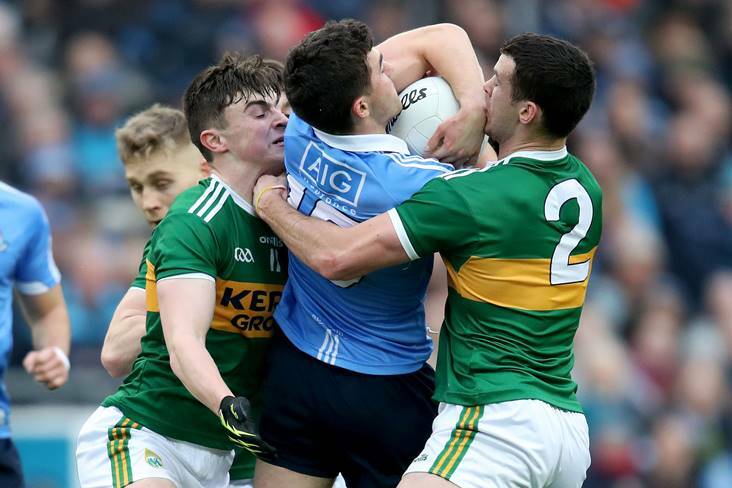 Dublin's Colm Basquel is surrounded by Sean O'Shea and Shane Enright of Kerry during the Allianz FL Division 1 round 5 clash at Croke Park in 2018. ©INPHO/Bryan Keane. The old epic rivalry hits Tralee on Saturday night and neutrals will be eager for a long-awaited thriller to unfold between these two football giants. After a first round blip against Monaghan, the Dubs looked like their old selves again last time out against Galway in Croker and are strong favourites (1/2) for this weekend’s main event down south. Kerry were slow to start against Cavan in Round 2 but looked good when they got motoring in the second-half against the Breffni men, with Tommy Walsh, Michael Geaney and David Moran all coming off the bench for the Munster champions. Sean O’Shea has been the star of the show so far for the Kingdom in 2019, but you get the feeling the Kenmare sharpshooter is going to be in need of plenty of back up when the All-Ireland champions come to visit. 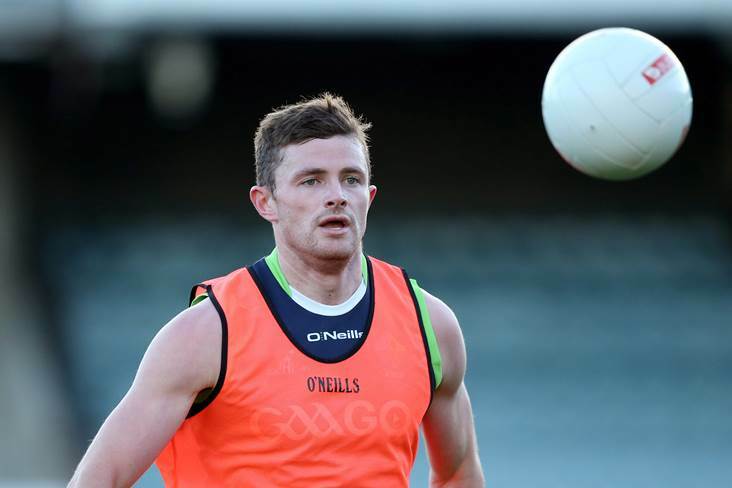 There have been recent reports to suggest that Diarmuid Connolly is back in the Dublin fold but, if they're true, the likelihood is that Saturday night may be too soon to see the St Vincent’s star back in action for the holders. Mayo’s flying start sees them sitting top of Division 1 two rounds in and they’re 1/4 favourites for Cavan’s visit to Castlebar on Saturday night. Mayo boss James Horan has decided to draft in two more youngsters to his line-up in the form of Breaffy midfielder Matthew Ruane and Westport corner-forward Colm Moran for this clash. Cavan led Kerry for long stages last weekend before the Munster champions kicked it up a notch at Kingspan Breffni for a three-point victory, leaving Mickey Graham’s men searching for their first win when they head west this weekend. Incidentally, the Breffni men won on their last visit to MacHale Park two years ago off the back of a virtuoso display from Gearoid McKiernan at midfield, but they’ll be without their injured talisman this time round and the formbook suggests that they don’t look like upsetting Mayo’s early rhythm here. Kildare edged out Cork last time out and will look to take two more points from Brewster Park on Saturday night against Rory Gallagher’s Fermanagh. The Lilywhites were 3-20 to 0-18 winners over this opposition in last year’s All-Ireland qualifiers and you can be sure that the Ernesiders will want to gain some revenge for that summer defeat. Neil Flynn’s 0-3 contribution off the bench proved salient in Kildare’s win over the Rebels and is sure to give Cian O’Neill some food for thought ahead of this weekend’s team selection, while former U20 ace Jimmy Hyland will also be keen to impress after his withdrawal the last day. Down required an injury-time goal from Caolan Mooney to take a victory from Sligo and will be hoping for a better overall display when Westmeath come to Newry on Saturday. The Lake County are in the early promotion hunt along with Carlow and Longford at this stage and Jack Cooney’s charges will be confident they can add another pair of points to their tally at Pairc Esler. Roscommon got off the mark in a somewhat surprise win over Monaghan in Round 2 and will hope to gather a bit of momentum here as Tyrone get set to visit ‘the Hyde’. Mickey Harte’s men are in need of a win and soon, heading into this one pointless after two rounds, and have a knack of doing so in recent times with their backs against the wall. Mayo’s red-hot start in Omagh floored the Red Hands and they’ll be looking to rectify that when they come west this weekend and get forwards like Lee Brennan and Darren McCurry on the scoreboard early on. Diarmuid Murtagh and Sean Mullooly are both on the comeback trail from injury for the Rossies and could see some minutes this weekend. Both these sides lost out in Round 2 and will be keen to get back on track ahead of next weekend’s break. Having conquered the Dubs on opening weekend, Monaghan were upset by Roscommon last time out as the Connacht men finished stronger at Dr Hyde Park despite Conor McManus’s best efforts off the Farney bench. McManus is likely to be selected from the start this time in Inniskeen, where the Tribesmen are visiting as the bookies’ underdogs. Still without their Corofin contingent, the Connacht champions only managed 0-7 against Dublin over the 70 minutes at Croke Park last weekend and will need a turnaround to hand Malachy O’Rourke’s men their first home loss of the campaign. Clare have had the better of Cork in recent times when it comes to this Munster derby as both sides head into this one on Sunday looking for their first win of the campaign. Last weekend’s draw with Armagh came at a big price for the Banner men, as they lost promising young forward Dermot Coughlan to a broken ankle just 20 seconds in Newry. Colm Collins will have to re-jig his selection a bit for the Ennis clash while his counterpart Ronan McCarthy has already done so, with Brian Hurley suspended and Sean White another notable absentee for the trip to Cusack Park. The winners of this one will be right in the promotion hunt as we get set for a weekend’s break ahead of Round 4. 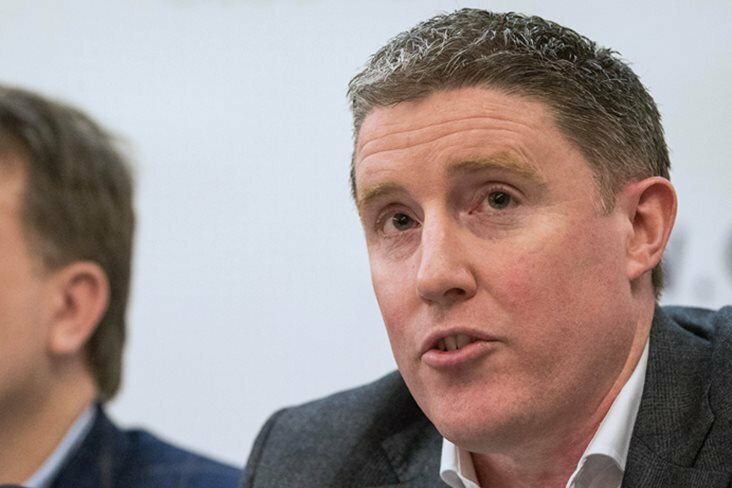 Meath will still be sore over the manner in which they gave up the chance of a result against Donegal up in Ballybofey and Andy McEntee’s charges are sure to be fired up to rectify things this weekend. The Royals face a real battle though with an Armagh team minus the suspended Jamie Clarke coming to visit as the Orchard men seek their first win after having drawn their opening two rounds against Kildare and Clare respectively. Top plays bottom here as Donegal look to continue their promotion push while Tipperary are in need of points fast to move away from the danger zone. The Tir Chonaill men remain without key attackers Michael Murphy and Paddy McBrearty while their Gweedore contingent are still awaiting All-Ireland club duty. Nonetheless, Declan Bonner’s side have been able to pick up the results but the same can’t be said for the Premier men whom can now add starting ‘keeper Evan Comerford to their long list of injuries in this early part of the season. This should be an intriguing contest between two sides which have fully demonstrated their promotion credentials early on. Carlow will feel unlucky not to have taken both points from Mullingar last weekend and get the nod to just shade matters against the Midlanders on Sunday. Bernard Allen’s late free earned a point on the board for Offaly against Longford in Round 2 and you get the feeling it’s something John Maughan will want to build on here. Ryan Burns’ 2-3 tally helped Louth upset Laois for the Wee County’s first win and the Faithful defence will know they’ll need to keep the Hunterstown Rovers sharpshooter at bay first and foremost in Tullamore. Laois got stunned by Louth last weekend and will see Sligo’s visit on Sunday as an ideal opportunity to get things back on track. The Yeats men suffered a cruel defeat at the hands of Down in their last outing and are 10/3 outsiders to pick up their first points of the campaign here. Derry’s last visit to Dungarvan saw the hosts running them close for long stages in the 2017 qualifiers before the Oak Leafers eventually triumphed and we expect the same outcome in the early throw-in on Sunday afternoon. After pushing Derry close in the opening round, Antrim disappointed against Wexford on their last assignment and now face an in-form Leitrim side in Carrick-on-Shannon. Terry Hyland’s reign with the Connacht minnows could not have gotten off to a better start, with young ace Ryan O’Rourke leading the way in the scoring stakes (he has 3-10 to date), and they’ll be keen to ride their momentum when the Glensmen pay a visit. Wexford got up and running in Round 2 and should have enough to get the job done when they travel to Ruislip to face a struggling London side which are bottom of the table two rounds in. Limerick have two wins from two thus far and will be fancied to take both points from Aughrim going on early form between these two.